It is no longer about debating the need for reinstating the repealed Section 64—the recall provision. Rather, it is about debating the viability of the proposed versions. EPHRAIM NYONDO writes. Should Section 64 be brought back or not? That is a bygone question. The section provided that every member of the National Assembly shall be liable to be recalled by his or her constituency, upon successful petition to the Electoral Commission by a registered voter backed by at least 50 per cent of registered voters in the constituency. The section—which its underlying principle was to ensure that elected officials are accountable to their constituents—was repealed in 1995, the same year Malawi adopted its new, 1994 Constitution. Parliament documents show that the section was repealed on the understanding that the provision ‘may encourage witch-hunting and was considered to be liable to abuse by constituents’. However, few years after the repeal, voices calling for the reinstatement of the section started to emerge. For instance, during the 2007 Constitutional Review Conference, the Law Commission received many submissions on the same. Since then, the voice has spread like wildfire. It was a tough topic during the Public Affairs Committee (PAC) All Inclusive Conference in February this year. The Democratic Progressive Party (DPP), in their manifesto, promised to bring it back. Just last week, former Speaker of Parliament Henry Chimunthu Banda, spoke strongly in its support. The final report of the 2007 Constitutional Conference shows that majority view in favour of the reintroduction of this provision considered it an important tool for enforcing accountability of members of Parliament to their constituents. Additionally, governance and development specialist, Dr Henry Chingaipe, argues that the failure by the relevant authorities to effectively implement the anti-defection provision, for instance Section 65, could also be another factor. “In the aftermath of the 2004 general elections, many members of Parliament have responded to the changing configuration of power at the level of presidency by defecting from their electoral parties and have joined, mainly, the party of the incumbent President, often and mainly for their personal gains. “This has caused quite a good level of dissatisfaction among the public especially as nearly every defecting member has attempted to justify his or her decision as having been on the request of the constituents even when the constituents complained of not being consulted at all. “However, the constituents have had no constitutional or any legal facility for disciplining the MPs that have so blatantly betrayed the trust of their voters. For many constituents, their hope lies in the restoration of the recall provision. “Unlike the anti-defection provision (Section 65) whose implementation is dependent on a game played by political elites and the courts, Section 64 has most of its implementation initiated by ordinary people in the constituency,” he says. Chingaipe further says that another reason could be widespread concern among constituents that their MPs, once elected, tend to relocate to Lilongwe and rarely visit the constituency to collect voices of the constituents, distribute a few handouts of private goods and personally fund small-scale infrastructural developments. “Thus, Section 64 is seen to be ‘a stick in the hands of the people’ for cajoling MPs and keeping them in check,” he explains. However, not everybody, though, has been in favour of reinstating it. For instance, according to the final document of the 2007 Constitutional Conference, some delegates said that the ballot, which comes after every five years, is enough mechanism to regulate the behaviour of MPs since constituents have the opportunity to express their views by maintaining or voting them out. They further advanced that the current first-past-the-post system of electing MPs may result in abuse of the recall provision since the aggregate majority of those who did not vote for the MP may conspire to remove him or her. In fact, some even advanced an economic argument. They showed the high attendant cost of implementing a recall provision which may necessitate the holding of frequent and untimely by-elections. 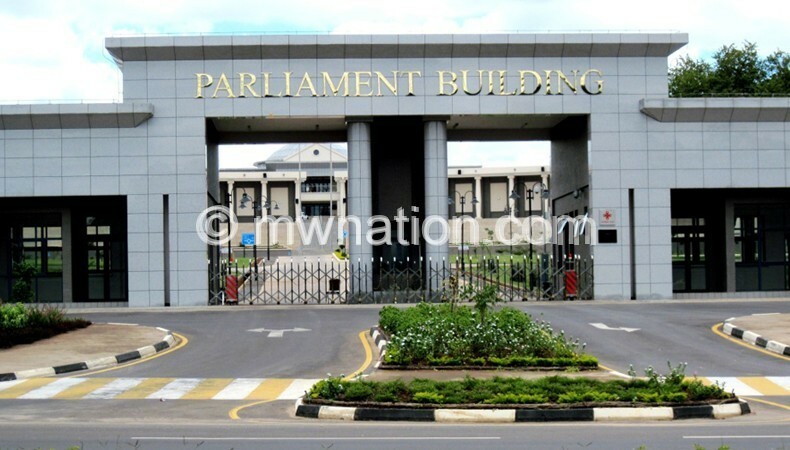 However, in the chaos of such a polarised debate, there are some sober thoughts advancing that that the ballot does not provide adequate mechanisms to make MPs accountable to their constituents. In fact, the Law Commission agreed with the recommendation of the Constitutional Review Conference, to have the section reinstated. “First, the commission considered that the exercise of power of State is conditional upon sustained trust of the people of Malawi as required under Section 12 (i) and (iii) of the Constitution. “Second, the commission considered that a president or judge may be impeached on specified grounds in stated circumstances and hence the need for similar treatment for Members of Parliament to promote transparency and accountability in the conduct of their business,” reads the final report. However, as argued by Chingaipe, reinstatement of Section 64, in its original version, would do more harm than good to Malawi’s political development. “This is because in its original version, Section 64 hangs in balance in the sense that it lacks a supporting set of rules necessary for its objective and fair implementation. In the scheme of things, the politics of recall are likely to be more astounding and annoying than have been the politics of implementing the anti-defection provision i.e. Section 65,” he says. He explains that, in its original form, Section 64 lacks clear and agreed to job description for MPs; lack elaborate procedures for recall; lacks mechanisms to cushion against abuse; lacks the need for immunity periods and the right of recalled MPs to participate in by-elections. As a way forward, Chimunthu Banda cited Uganda as a country that has implemented the provision easily because their constitution, the parliamentary act and parliamentary standing orders are clear on procedures and grounds for recall. He said some of the grounds in Uganda were physical or mental incapacitation, misconduct or misbehaviour that brings the office of the MP into disrepute and persistent desertation of the constituents without reasonable cause. However, the Law Commission, after observing the inherent weakness of the repealed Section 64, proposed a modified version. (1) Every member of the National Assembly shall be liable to be recalled by his or her constituency in accordance with this section. Among key provisions included extending the grounds, like in Uganda, to physical incapacity and misbehaviour. Further, subsection (3) proposed that the recall of an MP shall be initiated by a petition in ‘writing setting out the grounds relied on and signed by at least two-thirds of the registered voters of the constituency of the member; and the petition shall be delivered to the Speaker’. Sub section (4) further proposes that ‘On receipt of a petition, in accordance with subsection (3), the Speaker shall, within fourteen days require the Electoral Commission to conduct a public inquiry into the matters alleged in the petition. After MEC’s inquiry, the proposal goes, the Speaker, if satisfied with the inquiry, shall declare the seat vacant; or if not satisfied, shall declare the petition unjustified. The question, today, is: Are these proposals exhaustive of public concerns regarding the weaknesses in the original version of recall law? Perhaps, this is where the debate on the recall law should begin. Not asking, again, if the recall law should be reinstated or not. That is a bygone question. It is everybody’s hope that the DPP, which promised to bring back the recall provision, will begin from the recommendations of the 2007 Constitutional Conference Review.